2019 Summer Activities & Hobbies Camps! Want to work on your cooking skills?!? Or maybe work on your jump shot?!? We offer a variety of activities & hobby camps from Cooking, Art & Bright Brains, LLC. Have an interest in sports?!? Check out our Sports Camps!!! Track and Field, Variety Sport & Adventures and so much more! The Pitt County Community Schools & Recreation Department is dedicated to maximizing the utilization of human, physical, and financial resources with the cooperative efforts of other agencies and organizations in order to impact the quality of life for all citizens in Pitt County. Introducing the New CSR Logo! Pitt County Community Schools & Recreation has a NEW website! Featuring music your child will recognize from Frozen, Beauty and the Beast, Shrek, Aladdin, Lion King, SpongeBob SquarePants, Spirit, and MORE! Bring a picnic lunch, something to sit on, and your children! A FREE event brought to you by Ayden Arts and Recreation. Rain location: Ayden Middle School Gymnasium. 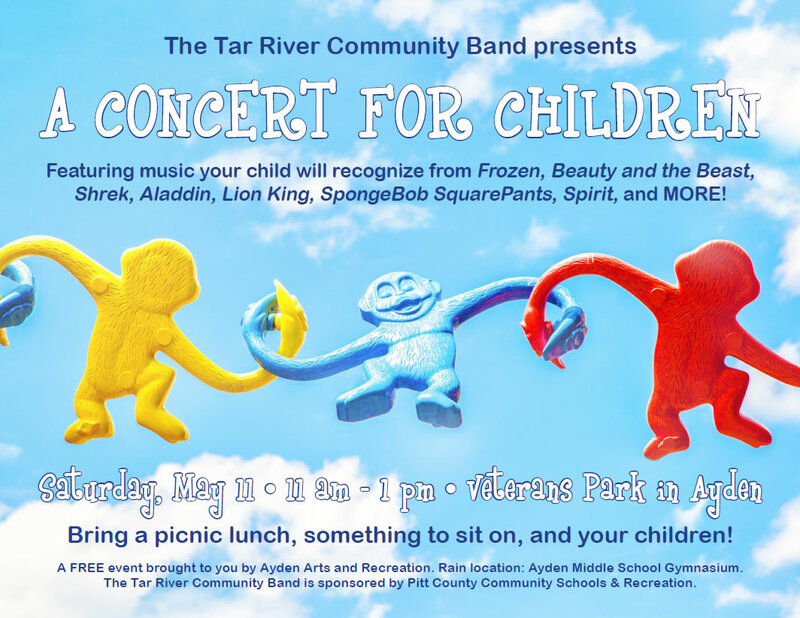 The Tar River Community Band is sponsored by Pitt County Community Schools & Recreation. The mission of the Pitt County Community Schools & Recreation Creative Experiences for Children Program is to provide a quality program of activities for students in grades K-6 (through 12 years old). Copyright © 2019 Pitt County Community Schools & Recreation. All rights reserved.